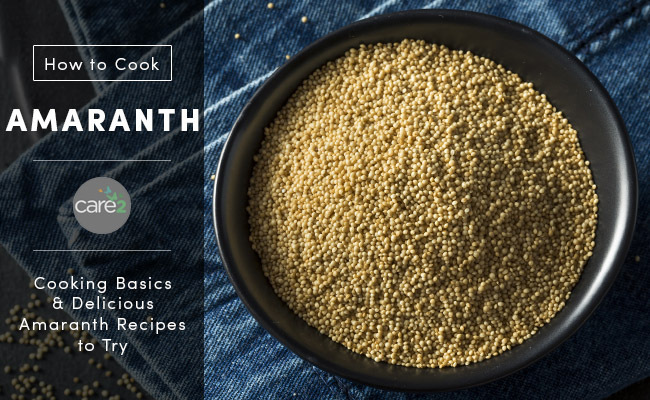 Learn some basic instructions for how to cook amaranth on the stove, in the slow cooker or in the pressure cooker, plus some fun amaranth recipes to try! Amaranth is an ancient food that’s rich in protein, fiber, vitamins and minerals. 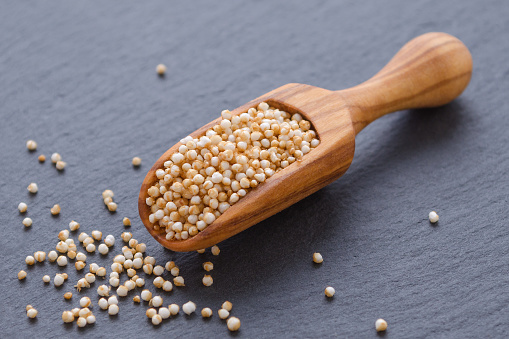 Like quinoa, amaranth is actually a seed, but we treat it like a grain in cooking. That’s because amaranth behaves so much like a grain. To cook it, you simmer it in liquid, just like rice or other whole grains. You can also pop it, and there are resources for how to do that below. Cooked amaranth has a texture similar to quinoa, but it’s a bit finer. It has that same nutty, chewy texture that’s perfect in a veggie burger or as the base for a stir fry or Buddha bowl. You can also cook amaranth into a porridge, like cream of wheat. Amaranth is gluten free and a source of high-quality protein. It contains lysine methionine, amino acids that you can’t get from most grains. If you want to prepare amaranth on its own, the basic cooking directions will do the trick. You can prepare your amaranth with water or vegetable broth. Broth will give the grain a flavor and nutrient boost that’s nice if you’re serving it as a side dish. How to cook amaranth on the stovetop, in the slow cooker, or in the pressure cooker. Bring 3 cups of water to a boil, then add the amaranth. Cover your pot, then reduce the heat and simmer for about 20 minutes, until all of the water is absorbed. Combine the amaranth with 3 cups of water in your slow cooker. Cook for 3 hours on high or 6-8 hours on low. Combine the amaranth with 2 cups of water in your pressure cooker. Bring to high pressure and cook for 8 minutes, then do a natural release (10-15 minutes). 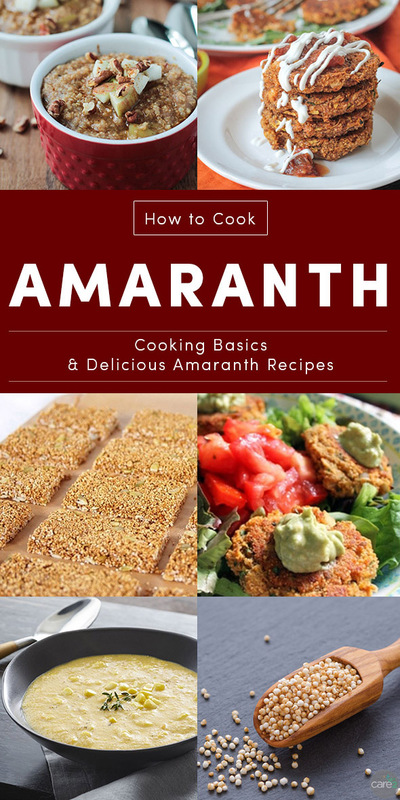 If you want to get a feel for some of the ways to use amaranth in your own kitchen, try these amaranth recipes! You can follow them to the letter, or use them as inspiration for your own amaranth cooking adventures. 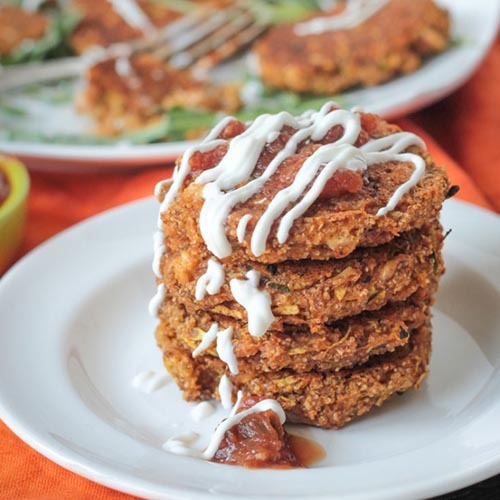 Serve these protein-rich amaranth patties over greens or stuff them into a pita or wrap with your favorite veggies and a drizzle of sauce. You can pop amaranth, just like popcorn! Toss it into your air popper, or follow these stovetop instructions for making popped amaranth. If you were intrigued at the idea of amaranth porridge, this is a great recipe for you! 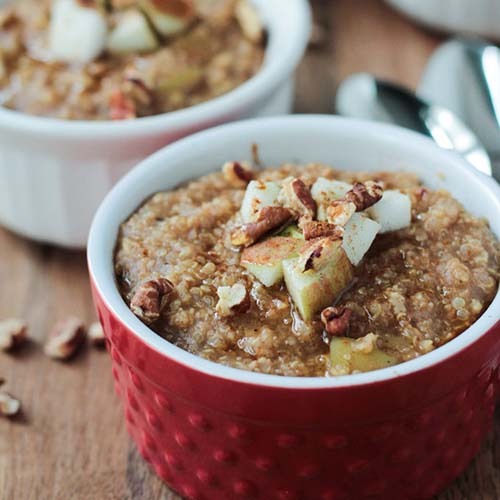 Jenn mixes quinoa, amaranth, millet and apple pie spices for a cozy bowl of breakfasty goodness. 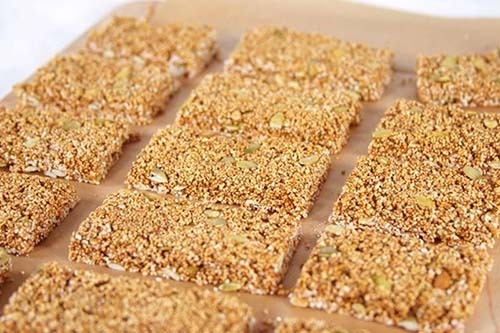 Popped amaranth and pumpkin seeds come together in this homemade candy recipe. I love the idea of using cookie cutters to create shapes for different holidays! 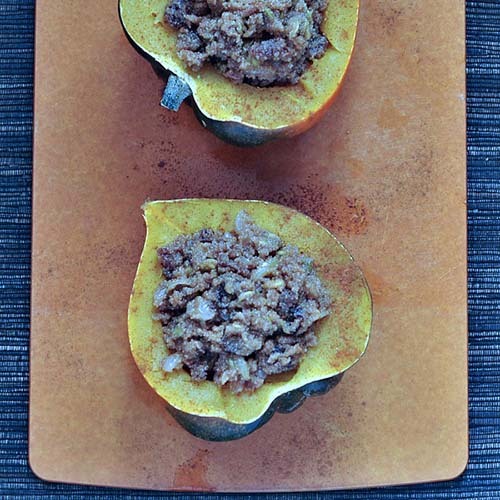 If you really want amaranth to be the star of the show, try this hearty stuffed squash recipe. Kristina stuffs an acorn squash with nutty, fruity amaranth pilaf. I told you that amaranth was great in veggie burgers! 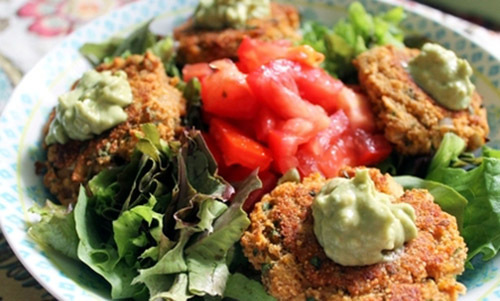 Like the protein patties, you can serve these up over greens or treat them like a burger and eat them sandwich-style. 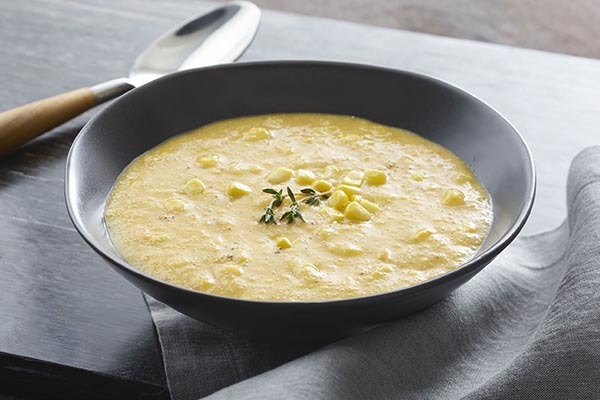 Amaranth packs a nutritional punch in this creamy, blended soup recipe. It’s a perfect recipe for bringing a ray of sunshine to a blustery day or chilly evening. Image Credits: Bowl of amaranth and popped amaranth images via Thinkstock. All other images via recipe authors, used with permission. I don't know what this is but if you can make cookies out of it it must be ok.